The kids are heading back to school, the leaves are starting to turn and the weather is getting cooler. Yes, autumn has arrived, but the end of summer does not mean that your home décor has to suffer. Let’s take a look at a few ways that you can brighten up your home and give it that warm, autumn feeling. A quick walk through your local neighborhood will offer a good sense of the color palette that you should be using in your décor makeover. In much of the country, trees will be turning a variety of yellows, oranges, and golds as the leaves change and begin to fall. These colors make for a warm palette and are ideal for use in the living room, dining room and other areas where you might host guests. Of course, you do not need to run out and change the wallpaper. Simply look to add color touches in areas that it makes sense. For example, you can get a couple of new sets of towels for the bathroom that match up with the colors you picked. In the dining room, look to replace your tablecloth and placemats with an autumn theme. Autumn is one of the more “natural” feeling seasons and this should be incorporated into your décor. Look to add leaves, acorns, pine cones and other natural elements that make sense for the area of the country that you live in. Note that you don’t need to head out and gather up these items for your home. A quick trip to the local craft shop and you will be able to find everything that you need. Finally, no décor makeover is complete without adding a little seasonal fragrance. Nothing smells more like autumn than a subtle pumpkin spice. Scented candles are an excellent way to add a scent to a room without being overpowering. They are also an excellent centerpiece for tables and can be used for mood lighting as well. 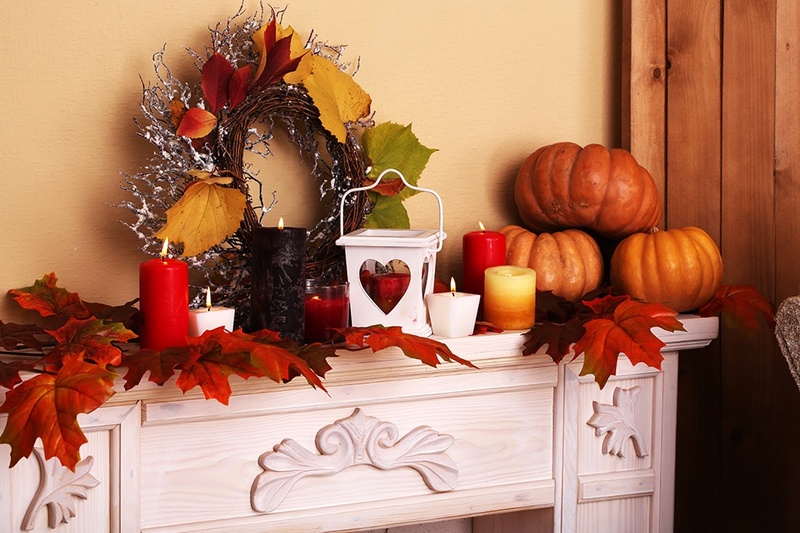 These are just a few of the many ways that you can add a sense of autumn warmth to your home. And if your home just isn’t “autumn” enough, contact your trusted mortgage professional. We are happy to share some fantastic opportunities.